Gilbane completed extensive renovations and an addition to District #96 schools. 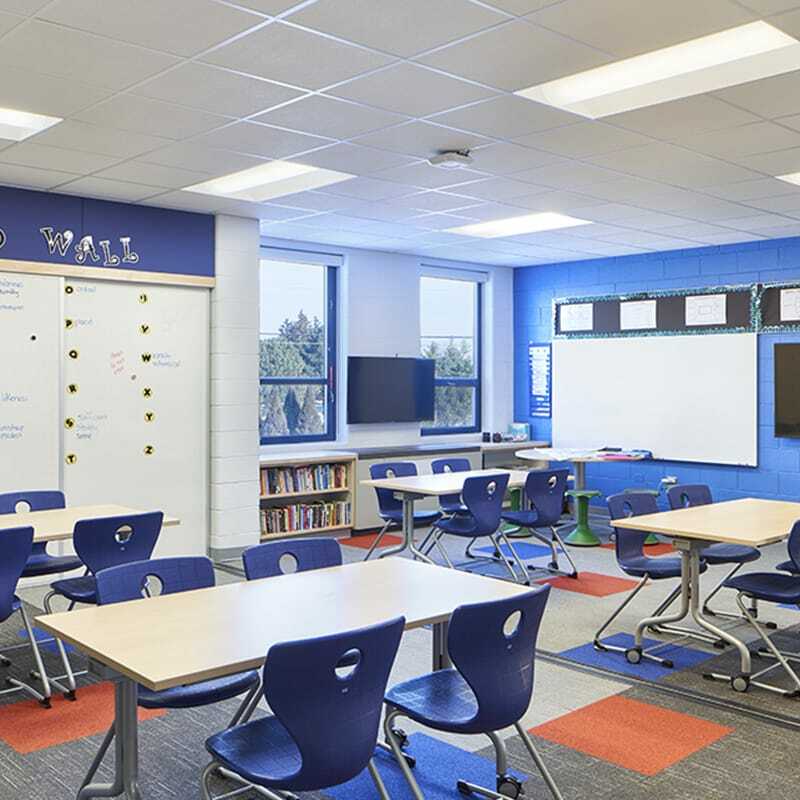 Summer work includes the conversion of district-wide classrooms into state-of-the-art, prototype, 21st century classrooms including new technology, flooring, ceiling, paint and furniture. Scope of work included a significant amount of demolition including removal of masonry, flooring and ceilings; new ACT ceilings, metal studs and drywall, casework, window shades, visual display boards; painting; fire protection; relocated diffusers and switched out thermostats; added and relocated electrical power, data, and intercoms; and removed and replaced lighting.